The 360 lab presents xcite: the tech startup event, where a number of pre-selected startups from around the world pitch in front of a live audience and jury. Only the top 5 startups will enter the “360° in 360 Days“ Accelerator Program. Tickets are free-but very limited! First Come, First Serve! Due to a limited amount of seating, we recommend arriving early to ensure a spot for the event. Doors open at 3 PM, live pitching begins at 4 PM. A 30 minute-break will occur after every 4th pitch. The final winners will be announced at 9 PM. ∙ One ticket guarantees entrance to only one person. ∙ No seating reserved. First come first serve. ∙ By attending the event, you agree to be photographed or filmed and to possibly be featured in either medium on our website, print or video productions, as well as social media accounts. ∙ Ticket does not include entrance to the after show party. 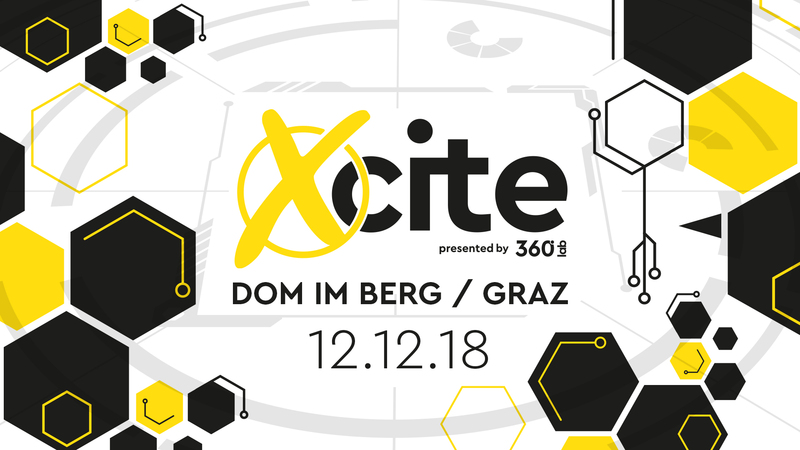 ∙ Ticket is only valid for the xcite Event at Dom im Berg on Dec. 12th.